For years there has been a progressive erasure of high-quality black, mainstream television sitcoms. It feels as if, after Family Matters and The Fresh Prince of Bel-Air went off the air, the idea of black family comedies went right out the door with them. Though many have tried (My Wife and Kids, Reed Between the Lines), the quality and thought-provoking content featuring black families has been subpar. From conversations about religion and faith to conversations involving the dynamics of the black family, this season of Black-ish is LIT. I will admit that when Black-ish premiered, I was skeptical of the series and its title. 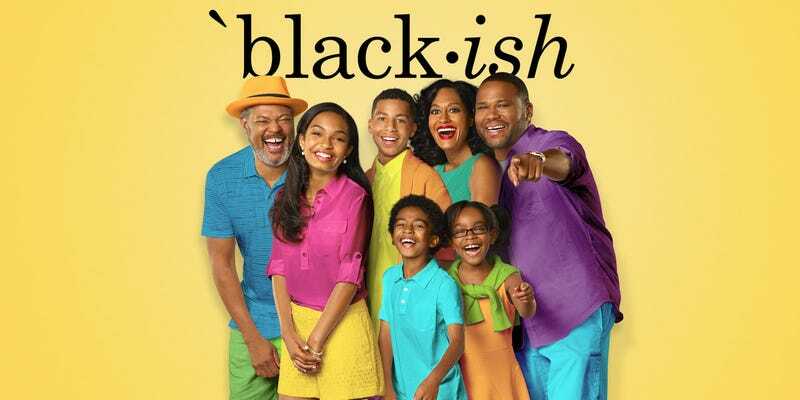 However, after reading the premise of the show, I was pleasantly surprised and happy that we finally had a modern show about a black family, excelling and thriving in their day-to-day lives, dealing with real day-to-day black issues. I was also pleased to see that the writers took a page from The Cosby Show to show not only black love in a positive light but also the struggles that black parents have raising pro-black children. In past seasons, the show has elevated topics around issues pertaining to the n-word and the struggles that black families have dealing with discrimination in white suburbia. The show even went so far as to discuss the importance of talking with our children about movements like Black Lives Matter and what black children need to know about protecting themselves against police brutality. But season 3 is (in my opinion) the best season thus far. It feels as if the writers have begun to authentically incorporate current events into the series themes. Black people wake up every day believing that our lives are going to change, even though everything around us says it’s not. Truth be told, you ask most black people and they tell you no matter who won the election, they don’t expect the hood to get better. But they still voted because that’s what you’re supposed to do. ... I’m used to things not going my way. I’m sorry that you’re not and it’s blowing your mind, so excuse me if I get a little offended because I didn’t see all of this outrage when everything was happening to all of my people since we were stuffed on boats in chains. I love this country as much, if not more, than you do. And don’t you ever forget that. This week’s episode offered a more comedic take on how black families talk about self-help. Though the episode centered mostly on Rainbow’s (Tracee Ellis Ross) need to see a therapist regularly, the show pointed to a more covert conversation about the way black men, specifically black fathers, deal with their daily frustrations and anger issues. This episode was extremely timely considering the levels of stress that black men carry both inside and outside the home and the lack of conversations we have around helping black men maintain their wellness. Black-ish is the show that black people have been wanting and needing for a very long time, and this is reflected in all the awards the show and its cast members have received. It’s so refreshing to see black love portrayed in a truthful and honest way while the 21st-century black family is seen as aware of what’s going on around it, something that other shows never dared to do. As someone who loves black sitcoms, I am so happy to see a TV show that paints the black family in a not-so-perfect fashion while staying true to the idea that an American family can, in fact, be black. DoctorJonPaul is a speaker, writer and educator from Southern California. He is a regular contributor to the site and enjoys discussing all things race, gender, sexuality and identity.